Certified Nurse Assistants work alongside nurses, physicians, and other healthcare professionals to provide direct patient care services in a variety of settings. They are a critical part of a healthcare delivery as they’re often the ones that are most in contact with patients. CNAs assist patients with those tasks they cannot do for themselves. 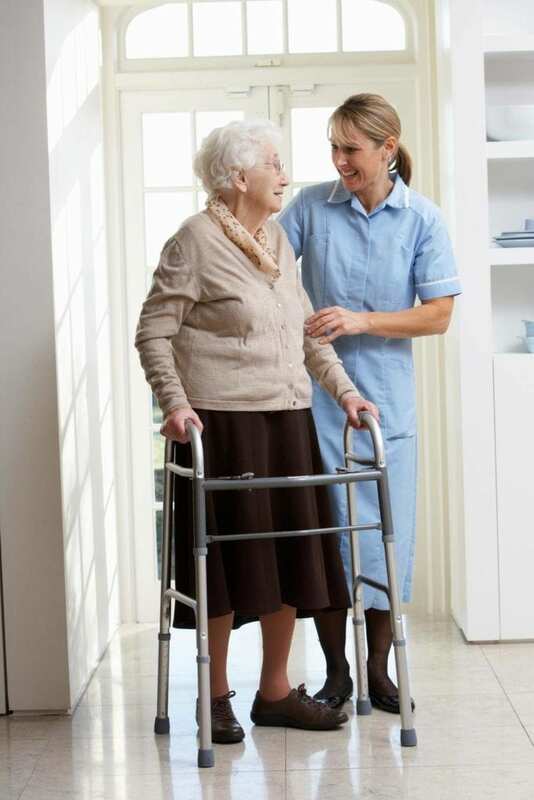 In assisted living facilities, rehabilitative clinics, and long-term care facilities, the role of a CNA is more involved that the role in hospitals and other acute care settings. Nursing assistant training programs set the foundation for students to acquire the knowledge and skills they need to pass the state certification exam governed by the California Department of Health. The programs use a combination of classroom and hands-on instruction to emphasize safety regulations, laws and ethics, and patient safety. Students also learn the fundamentals of taking and recording vital signs, feeding and nutrition, basic nursing principles, patient hygiene and infection control. According to the Bureau of Labor Statistic, employment opportunities for CNAs will continue to grow due to the rise in the senior population and technological advances in the medical industry. Nightingale Healthcare Prepares nursing assistant students for the California Certification exam. The programs comprise of nursing theory, hands-on lab, and clinical experience to give students the skills and experience they need to work in a variety of health care settings. In the classroom, students must the basic principles of nursing, and later transfer to a community-based facility to complete supervised clinical. The 150-hour program meets the California Department of Health requirements, and graduates are eligible to take the state exam. Full-time students complete the course in 21 days while part-time (evening) students require 30 days to complete the curriculum. There are no pre-requisites for entry, so anyone can train to become a CNA. At the end of training, NHP assists all graduates with job placement. Tuition is $1,050 including the application fee, deposit, books, and materials. Other expenses include Live Scan, BLS (CPR), and the American Red Cross testing fee. All students must acquire white shoes, gait belt, stethoscope, scrubs, and a watch with a second hand for the clinical experience. The nursing assistant program at Quest Nursing Education Center is approved by the California Department of Public Health. The training comprises of 160 hours of instruction, including 100 hours of clinical experience and 60 hours in the classroom. Students can complete the training in 4 to 6 weeks, depending on schedule. At the conclusion of training, graduates are prepared to provide safe and competent care to patients in hospitals, nursing homes, and long-term care facilities. Applicants must be at least 16 years old and eligible to work in the United States. The school requires applications to pass a physical health exam, PPD skin test (or chest x-ray), and a criminal background screen. Instruction in the classroom and clinical components of the program includes, patients’ rights, body mechanics, patient care skills, emergency procedures, vital signs, interpersonal skills, emergency procedures, weight and measures, resident care, observation and charting. The tuition is $925- includes books, materials, and insurance. The state board exam fee, fingerprinting, scrubs, and physical exam are the students’ responsibility. A flexible payment plan is available for all students. Enrollment in Berkeley Adult School’s CNA program is limited to 15 students per session. Limited enrollment ensures students receive the individual attention they need to succeed on the state certification exam. All prospective students must attend a mandatory orientation session prior to enrollment. The free orientation sessions give students an opportunity to ask questions about the program and understand the roles and responsibilities of nursing assistants. Students must be able to lift more than 40 lbs, read, speak, and write English, have no criminal convictions, and possess a high school diploma or GED. Experienced instructions will help students develop essential knowledge and skills through theory, hands-on, and clinical instruction in a real-world setting. Students learn the basic principles of nursing, taking and recording vital signs, communication and interpersonal skills, range of motion, and care for patients in long-term facilities. The total course fee is $775 – $110 for the math and reading assessment, and the application fee are non-refundable. The fee covers books, registration, CPR, and Livescan. Graduates are eligible to take the state exam. The 28-day CNA training at Hillendale Home Care prepares students for the California State Certification exam. Students obtain the knowledge, skills, and professional judgment to provide direct care to patients under the direction of an RN or LVN. The classroom sessions run from 9:00 am to 4:30 pm and the clinical sessions (100 hours total) run from 6:30 am to 3:30 pm from Monday to Thursday. Course modules include emergency procedures and safety, vital signs, nutrition, death and dying, patient care procedures, introduction to nurse assisting, body mechanics, medical and surgical asepsis, rehabilitative nursing, and much more. Requirements for enrollment are a physical exam, FBI fingerprints, current TB test, valid ID, social security card, and non-refundable registration fee of $200. Tuition for the program is $795 – a flexible payment plan is available for all students. The American College of Nursing prepares nursing assistant students to succeed on the California State Certification exam administered by the American Red Cross. Instructors achieve this through a combination of classroom and clinical training. The on-campus classroom instruction includes patient care skills, vital signs, patients’ rights, laws and ethics, safety and emergency procedures, death and dying, nutrition, and communication skills. The clinical experience takes places at a community hospital or nursing home under the direction of a qualified instructor. The following are some additional board-approved CNA training programs in Oakland California.